Cellutech develops new cutting edge materials based on wood. Our vision is to provide innovative technologies and products that meet today’s need for a sustainable future. We commercialize innovations for a circular economy and with a global impact. 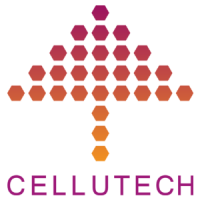 At Cellutech, we are experts on cellulose technology. Established in 2013, we bring new biomaterials to the market by serving as a link between academia and industry. We have several ongoing technologies with different maturity levels. The technologies we hold today span from lightweight cellulose foams to cellulose spheres, magnetic cellulose fibers and transparent wood. Cellufoam is a novel and sustainable lightweight foam material based on wood pulp. The technology offers a biodegradable alternative to a wide range of products. The extremely lightweight and shock absorbing properties make it an especially attractive replacement for Styrofoam in packaging. The environmentally friendly production process of Cellufoam results in a material that is renewable, compostable, repulpable and recyclable as paper packaging.